Thursday (11/22) - Members, friends, and family meet at Austin High at 7:00 AM for our workout on the track. No other workouts on Thanksgiving. Gilbert will celebrate his 45th birthday this week and invites you to join him on Tuesday (11/20) at 6:00am on Wilke. Instead of eating cake, Gilbert will run Wilke hill as many times as he can in 45 minutes. Last year he ran 13 Wilkes in 44 minutes. Let’s help him get to 15 this year! This tradition started when he turned 30 and he ran up Wilke the same amount as his age—30 times! He continued that tradition until he was 41 when enough people convinced him that 41 was too many and they didn't want him to get injured. Come support coach on his favorite hill and wish him a happy birthday! 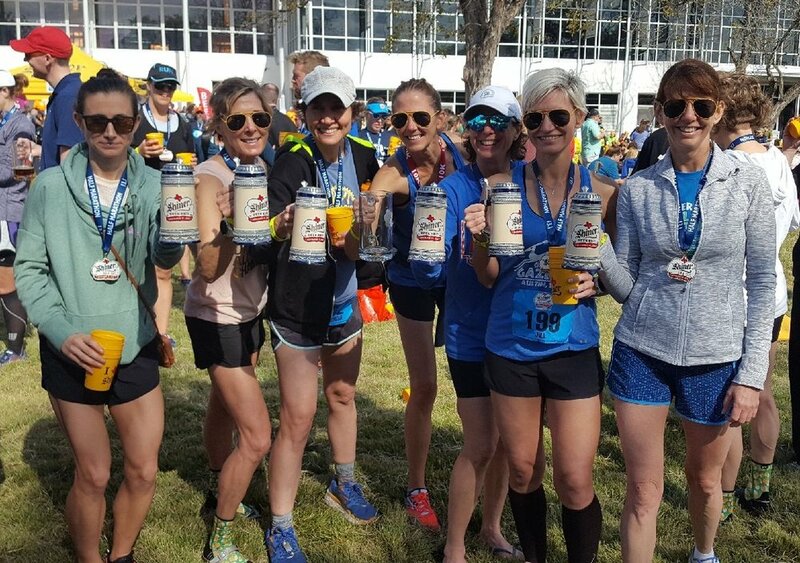 A big group of Gazelles made a day of the Shiner Beer Run—Half Marathon, 10K, and 5K. Not only did they place well in many age groups (overall women's and women's masters! ), they also had a lot of fun traveling by chartered bus to and from the race. December 8 is the Gazelle Christmas Party! 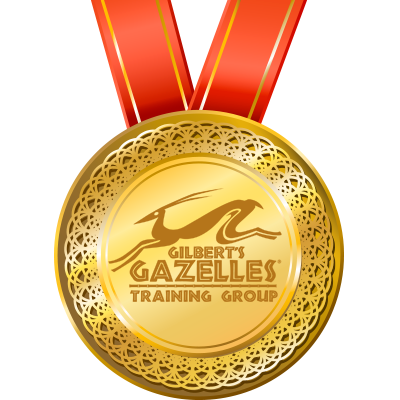 Whether you've trained with Gilbert's Gazelles in the past or you've just joined us, you are invited to an evening of Christmas cheer and merriment—Gazelle style. The annual Richard Mendez Award will be presented and the 2019 Destination Marathon will be revealed. It’s potluck style and your RSVP is appreciated! Spring Marathon/Half Training (including Boston) is open for Registration! Training starts December 3rd. December 9 - Decker Challenge Half Marathon. 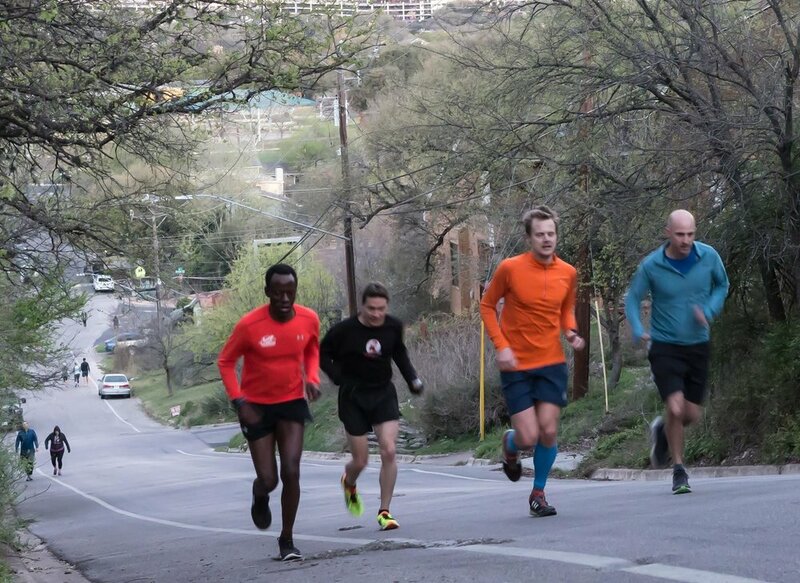 This is the next race in the Austin Distance Challenge. Gilbert's Gazelles sponsors the mile 3 water stop each year. If you're not running, plan to come out and cheer on your fellow runners and help out at the water stop. It's always a lot of fun! Email us for more details. January 20 - 3M Half Marathon. I joined the group training for Chicago, but I was so green that I didn’t know you had to sign up for a marathon in advance—by the time I got around to registering, of course Chicago was sold out. The only other marathon that same weekend was in Portland, so off to Oregon I went! You’ll find me at the back of the pack on M/W 5:30am. I love the mile repeats at Zilker Park...there is something magical and slightly dangerous about running through the woods in the dark. Also fartleks because who doesn’t like a fartlek? So often in life we like to complain about things, feel put-upon, or aggrieved by someone or something. Running with Gilbert and the Gazelles has taught me so much about finding joy and pleasure in things that are difficult. Not only enjoying the sense of accomplishment that comes with completing tough workouts, runs, or races, but enjoying the process as well. It has taught me the beauty of staying mindful and aware of how much we have to be grateful for every day. One of the many things I appreciate about Gilbert is that he still tries so hard to get me to improve! I’m kind of terrible at running, even though I love it, and he won’t give up on trying to make me better. This week we have multiple quotes. Happy Thanksgiving everyone! Giving the bird a run for it's money. Gobble gobble, run & wobble. I ran, now I eat. Will run for food (and drink).